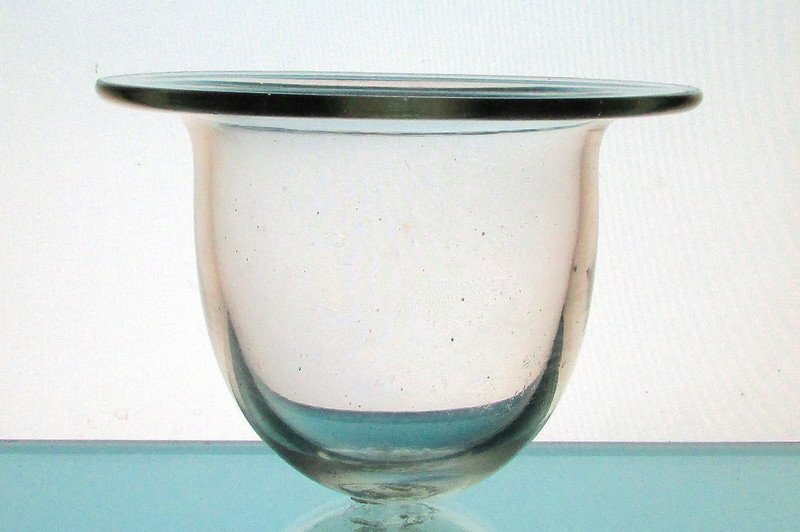 Hanging Candle Holder perfect for replacement purposes. 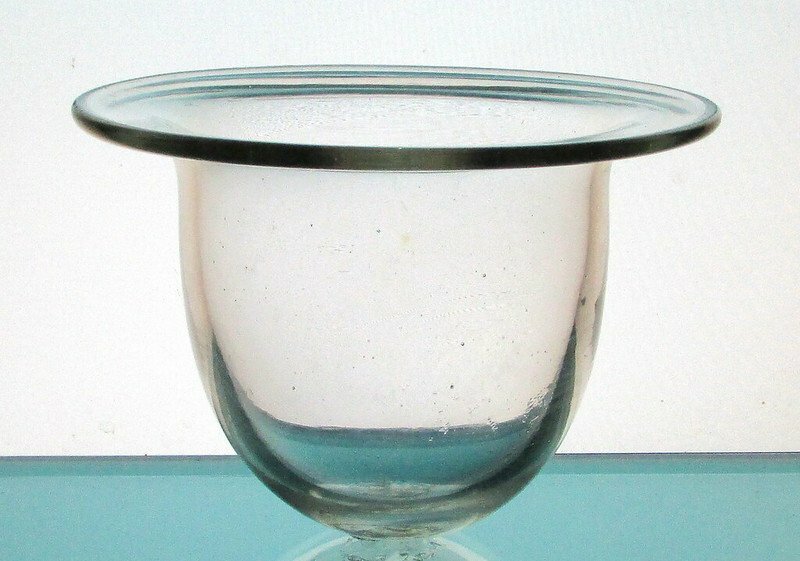 Hand blown and cut Mexican glass with a wide flat rim. 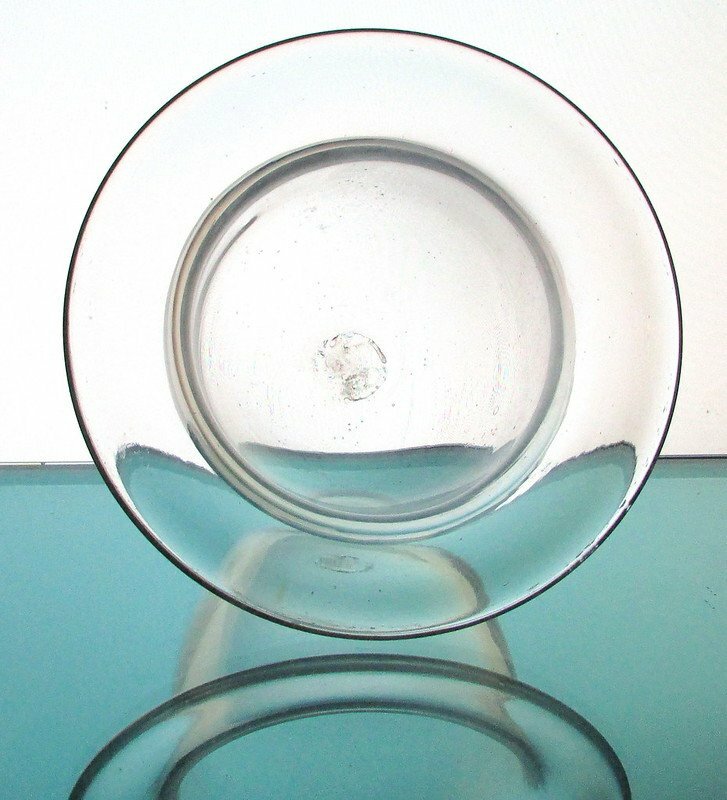 Measures 6 1/8 inches across the top and stands 4.75 inches high. 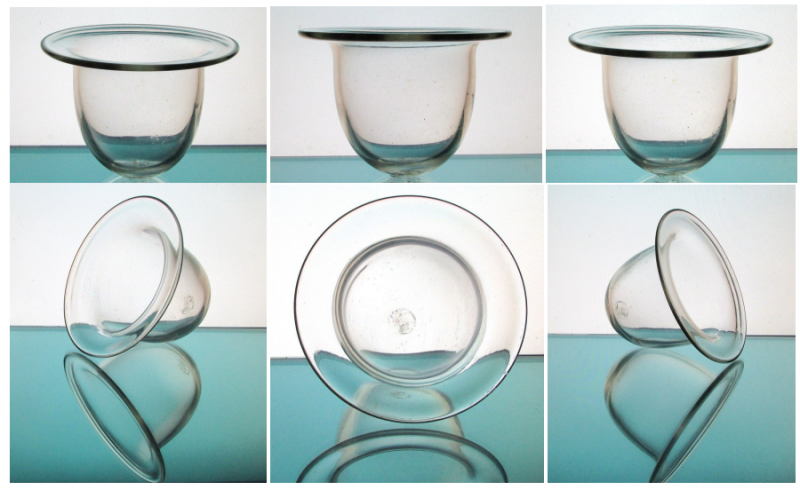 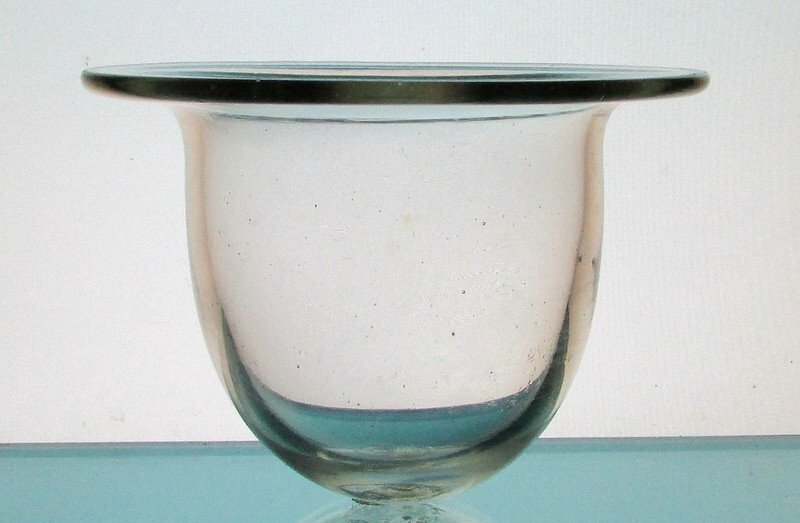 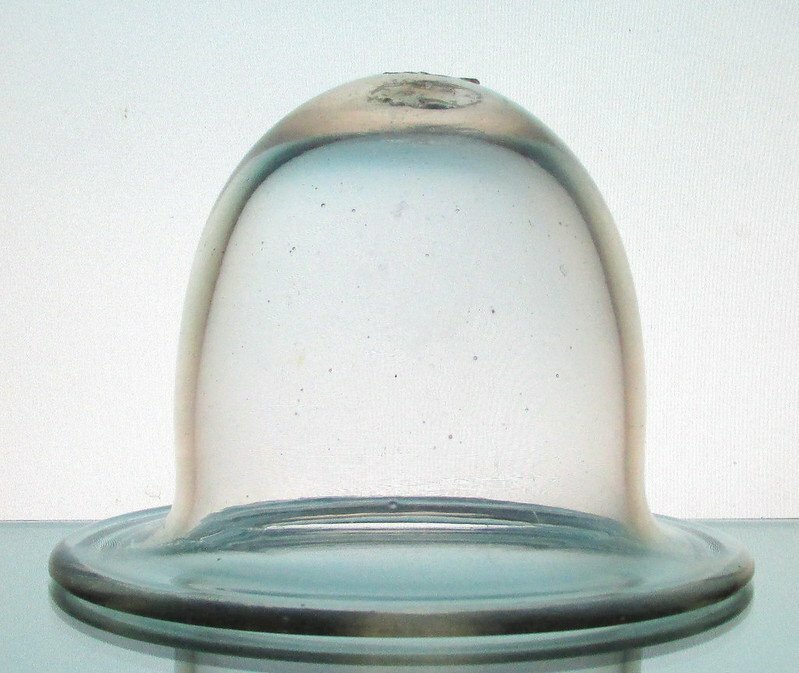 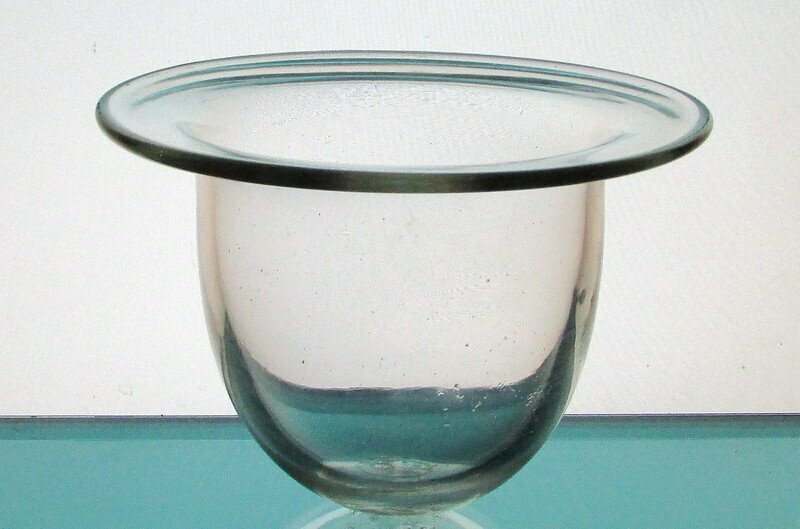 Heavy weight holder with a round bottom and rough spot where the glass was cut. 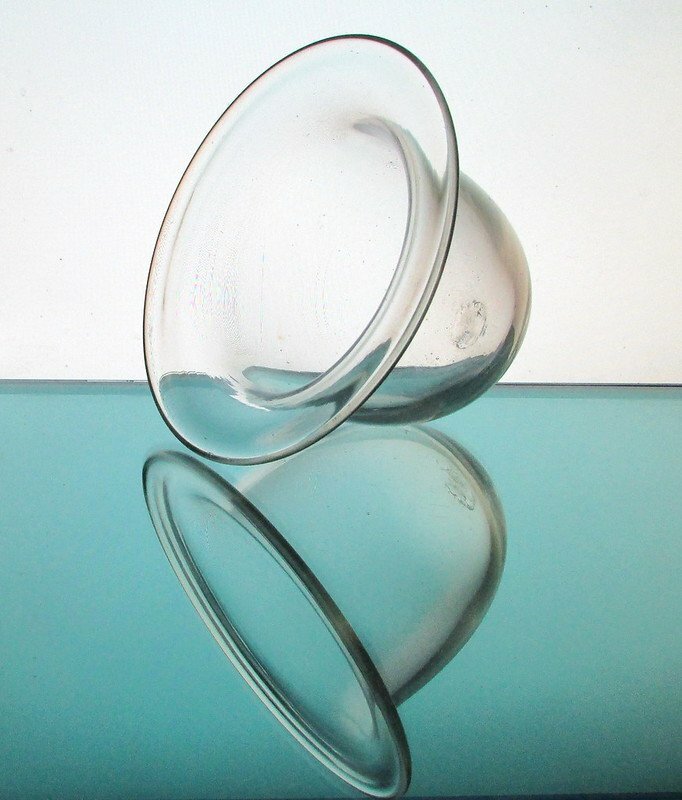 Some small bubbles exist in the glass which is typical for glass made in Mexico. 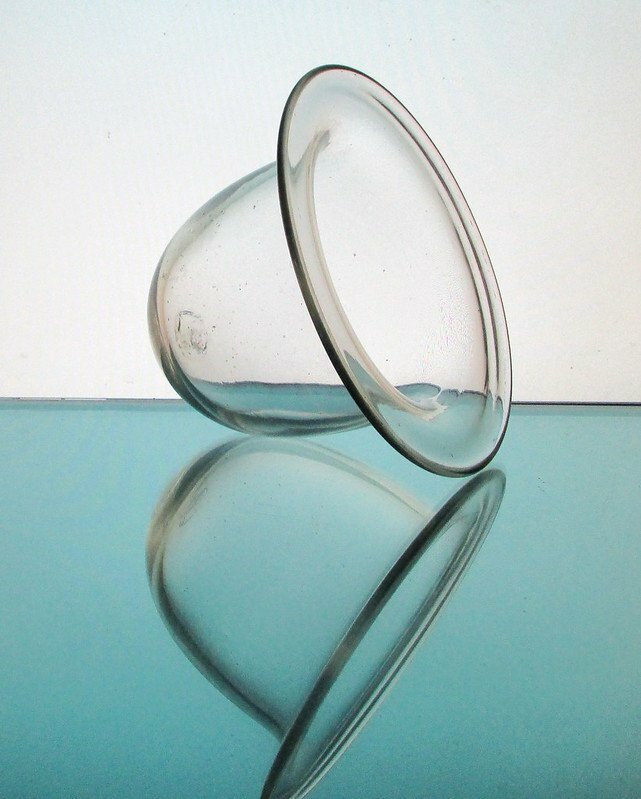 Appropriate for holders with a 4.5 inch support ring (interior ring measurement).